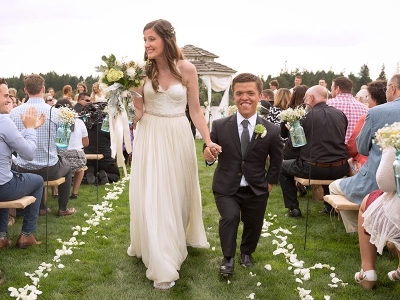 Those of us who grew up watching the TLC reality show Little People, Big World were in for a heart-warming thrill with the news of Zach Roloff’s wedding this past weekend. Zach (25) and his bride, Tori Patton (24), wed at his parent’s farm in Hillsboro, Oregon on Saturday, July 25th. 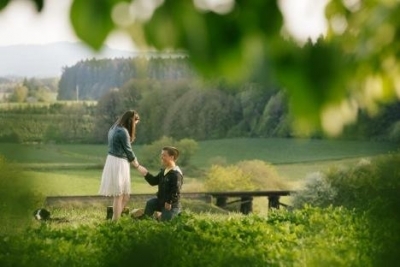 The couple had been engaged for more than a year; the countdown began last May after Zach proposed to Tori in an open field. Zach, who was born with dwarfism to two parents with dwarfism, has had unique issues to cope with in his lifetime. But despite adversity, and with support from Little People, Big World’s fan base and his supportive family, he has thrived and is now embarking on his own journey with his beautiful new wife.